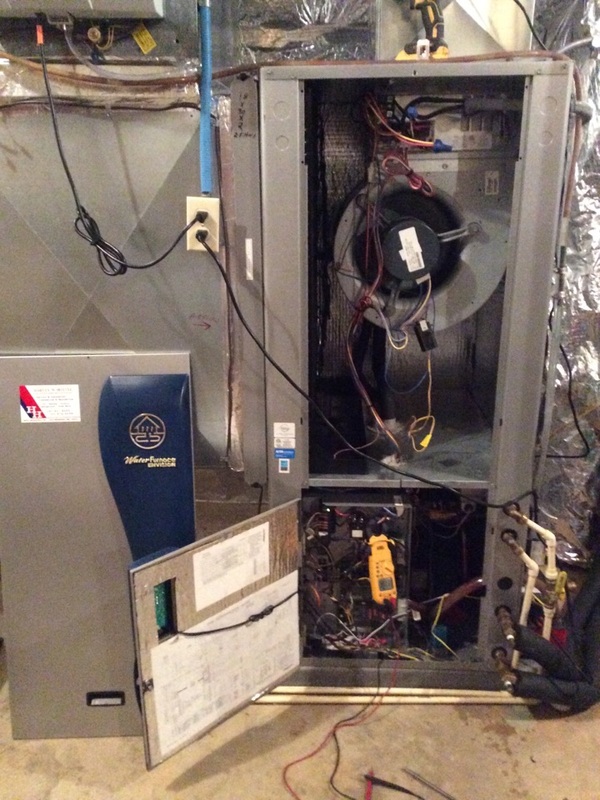 Supreme Air provides Air Conditioning, Heating and Plumbing Services, Repair, Installation, Maintenance, and Tune Up in Glenwood, MD and surrounding areas. Had annual heating service performed by Danny. Checked and fixed the unit which was not working at optimal level. Received very courteous, friendly and informative service. I identified two extremely small pin holes in one of the copper pipes for the hot water generator loop. Very small droplets form out of the holes and were rolling down the pipe, under the insulation until it reached a low point, pooled and spilled out. The pipe needs to cut and the small section removed and secured back together with either a coupling or solder. Cut out leaking section of pipe for the hot water generator and join with a coupling. I quoted the repair and got the approval from the customer. I went to the nearest hardware store and picked up a coupling. I then sanded and deburred the tubing and joined with the shark bite coupling. Turned the water back on and turned on the hot water generator and checked for leaks. No leaks. Replaced the insulation and cleaned up. I cleaned the condensate pan and drain lines and ran hot water to flush the debris and to make sure it drained properly without leaks. I operated the unit on #9 cooling mode, confirmed 13.5 gpm flow rate and normal heat of rejection. I pressurized the ground loop to 65 psi. I checked the electrical wiring and electrical systems, all are within specification. Unit operating normal. Could not reach customer to approve replacing the media filter in the EAC. Customers daughter said they would take care of it. I also left a message for the customer and told the daughter that there is no manner of surge protection in the home and recommend installing 2 whole house surge protectors, 1 on each main electrical panel. 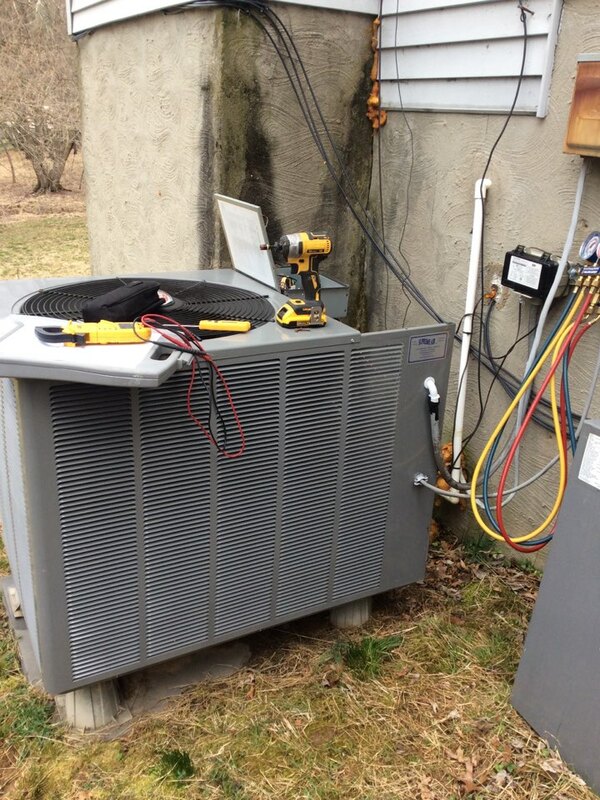 Spring pm on 03/22/19 On arrival set units to call for cooling measured supply and return air temp measured voltage and amps inspected electrical connections checked drain and cleaned checked filters and replaced checked condenser unit checked electrical connections checked voltage and amps checked capacitor checked freon is good checked coil cleaned recommended duct cleaning for both zones I gave quote for customer he will call us when his ready to do it . Units tested units operating normal at this time. 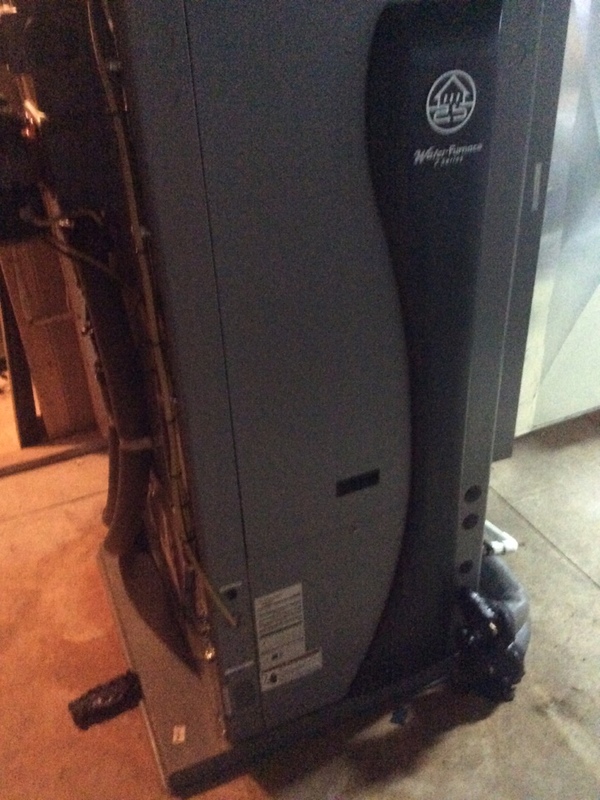 Fall pm on 12/28/18 On arrival set unit to call for heat measured supply and return air temp measured voltage and amps inspected electrical connections checked drain and cleaned checked recommended need to be replaced Air Filter unit operating normal at this time. Replaced the first u-v light in room number 1 in the basement, then we went to the second room to install a second u-v light. 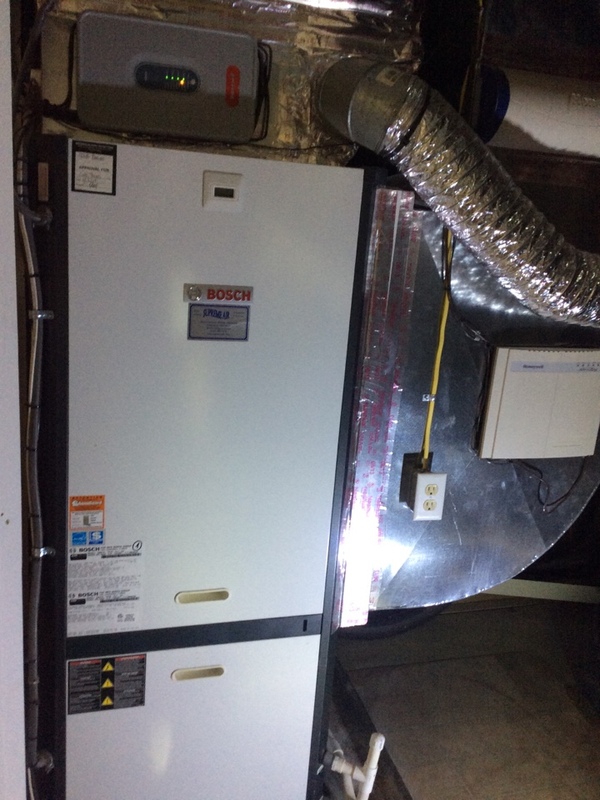 After the installation was done we recommended to the customer to replace it after one year. Completed maintenance and set thermostat to lock out AUX heat until bellow 35 degrees . 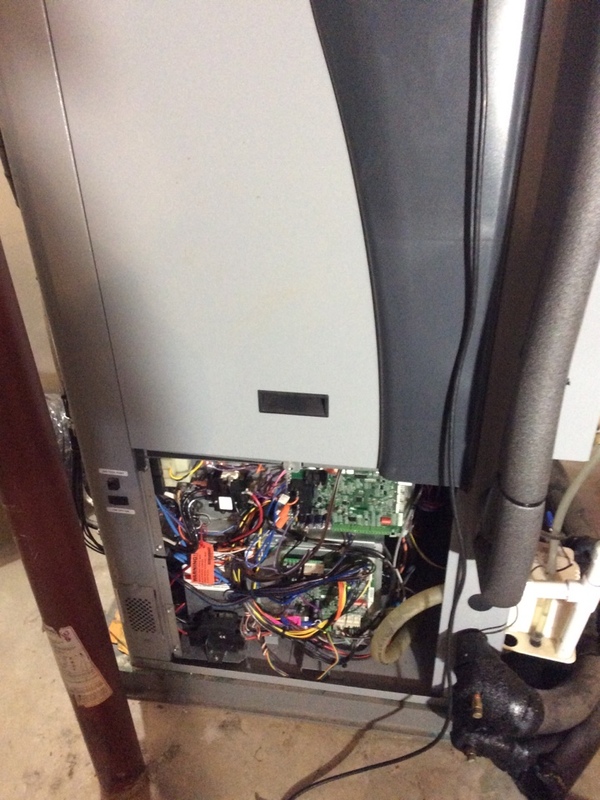 Fall pm on 12/11/18 On arrival set units to call for heat measured supply and return air temp measured voltage and amps inspected electrical connections checked drain and cleaned checked filters unit operating normal at this time. Fall pm on 11/28/18 On arrival set units to call for heat measured supply and return air temp measured voltage and amps inspected electrical connections checked drain and cleaned checked filters also customer need Humidifier service I gave quote for customer accepted checked Humidifier electrical connections change the pad cleaned units operating normal at this time. 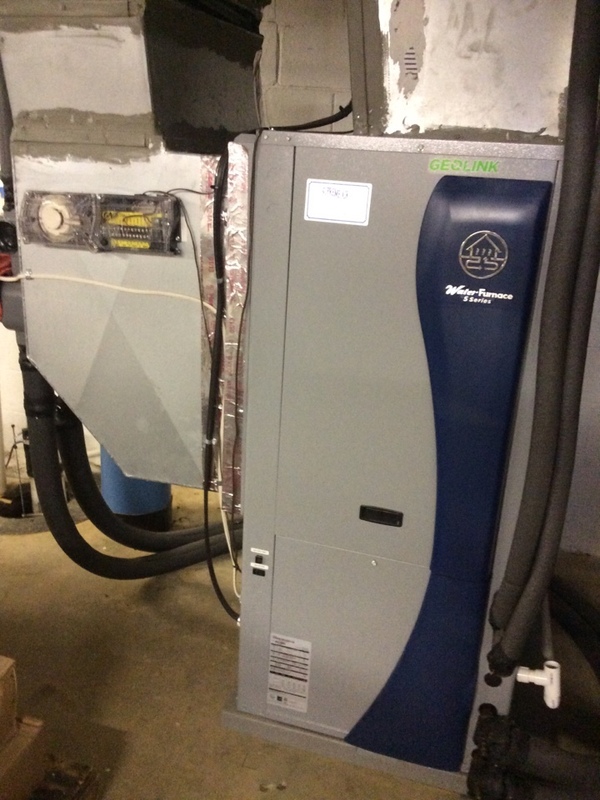 Working on a 7-Series Water Furnace Geothermal Heat Pump for a great family in Glenwood, MD.